At Bob's Welding, Machining & Fabrication, building custom metal signs, awnings, storage racks, retail displays, display frames and similar items has become a specialty of ours. 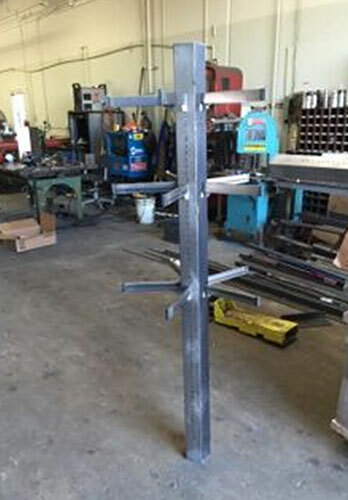 Our owner has more than 35 years of experience helping thousands of residential and commercial clients realize their custom metal projects by offering exceptional shearing, plasma cutting, forming, machining, and welding service at an affordable price. We've worked with everything from general concepts to highly specific blueprints, and always help our clients refine their ideas to give them the best results possible. Call today for a free consultation. 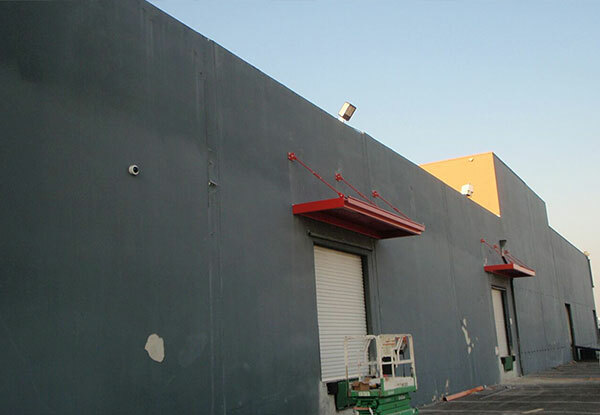 We're an AWS-certified metal shop that has served the Orange County community since 1936. 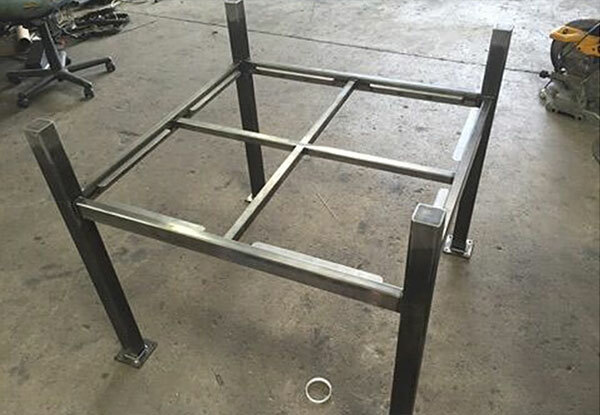 Bob’s Welding delivers outstanding results for all your Orange County metal fabrication projects. 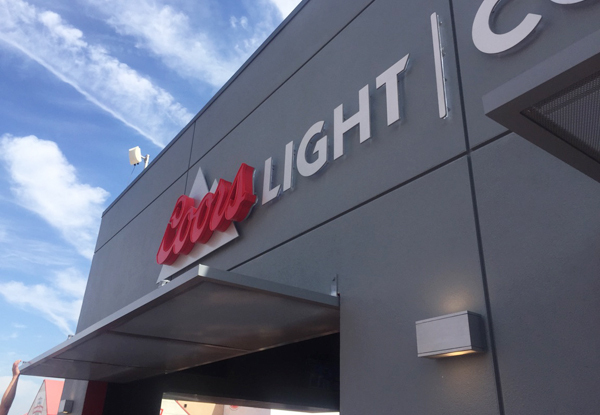 This custom metal awning in Anaheim, CA was created for the Coors Light Cold Zone at Angels Stadium. A local tile store needed a sturdy customized frame that would enable them to display their various tile samples. We custom fabricated this sliding display frame to meet our client's needs. Bob's Welding cut, welded, and fabricated this industrial awning using the architect's prints. At Bob's Welding we always work with you to create a product that meets your needs. We created this retail display stand for an Orange County client. 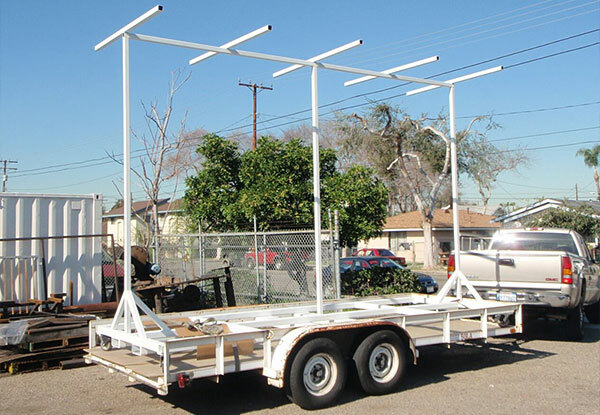 The job included cutting, welding, fabricating, and finishing with a powder coat to meet the client's specifications. Bob's Welding custom fabricated this wine glass holder for an Orange County restaurant. We used steel tubing and worked with the client's prints to create a wine glass holder that fit their needs. 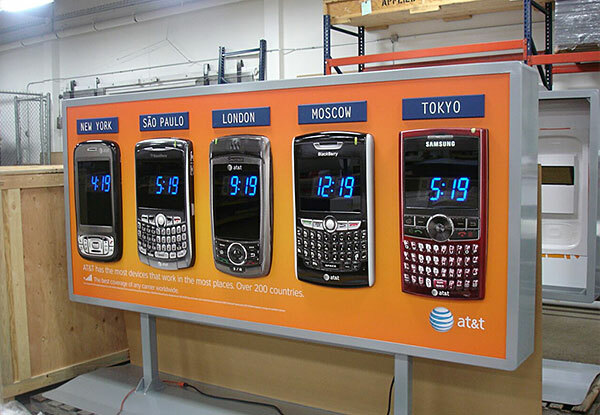 This steel retail display variation was custom fabricated based on our customer's vision. We cut, welded, and fabricated these display tables per print. 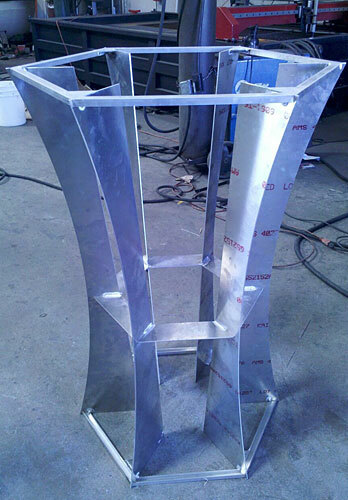 We used aluminum to create these custom display tables for a local retail display company. 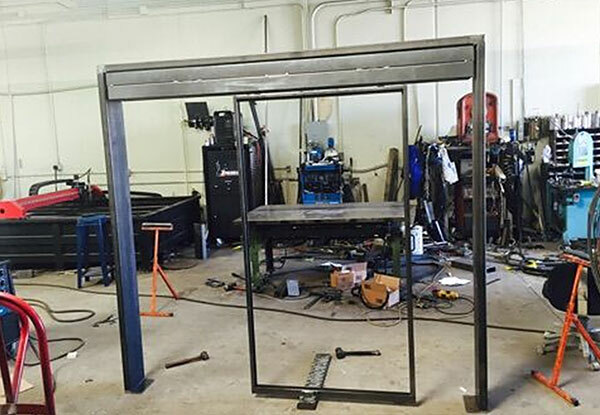 We cut, formed, welded, and fabricated this large metal frame to support the signage our client was creating. After creating the aluminum frame we applied a metal skin and powder coated the entire surface then sent it to our client. The finished sign can now be seen by thousands of patrons at Angel's Stadium in Anaheim. 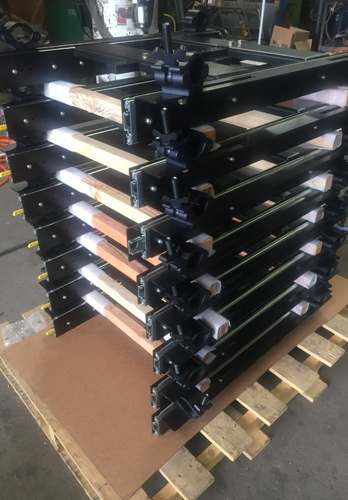 Our team of expert welders designed and fabricated these custom powder-coated steel A/V racks for an Orange County, CA client. Call us today for all your custom steel fabrication needs.